What do you think of when you hear the word, “fasting”? That word alone to me freaks me out since I absolutely love to eat, but fasting, or intermittent fasting has been a way of life for numerous cultures over a span of hundreds of years. 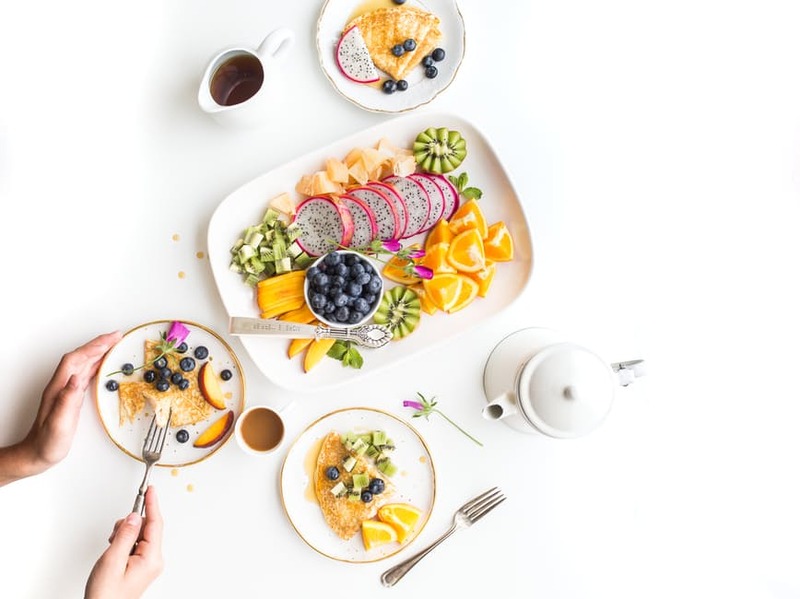 Fasting, or going for extended periods of time without consuming foods (and sometimes even liquids), on one hand has been a staple in some religious practices and on the other, a part of trendy fad diets. So the question is, is it good or bad? Are there different types of “fasting”, and what happens to our bodies when we fast? While there are different methods of fasting, I want to discuss one type in particular today: intermittent fasting. Intermittent fasting is not a part of a weird master cleanse. It is simply the timing of your meals. It alternates short-term fasting with your normal schedule of eating. So it’s almost a balance between complete withdrawal of food, and eating as you regularly would. There are a few different ways that you can go about intermittent fasting. One is going two days a week with only eating 500 calories a day, then resuming your normal eating habits the remaining 5 days. Another is fasting for about 14-16 hours *daily* – meaning you eat dinner around 7pm and then eat your first meal of the day between 9-11am the next day. The latter is definitely the easiest and most common practice of intermittent fasting. There are two different “states” that our body is in throughout the day as we follow our eating patterns. These two states are “fed” and “fasted” state. We are in the fed state when we are eating, absorbing, and digesting food. It’s in this state that our insulin levels increase. After about three to five hours our body is done processing what we ate, and we go into the post-absorptive state. This state lasts for about eight to twelve hours after our last meal, and then we enter the fasted state. Sources claim (1) that we use and burn fat as fuel when we are in the fasted state since our insulin levels are low, and that fat is more accessible in this state than it is in the fed state. Since the majority of us don’t experience a fasted state (perhaps some of us eat a late night snack at 10pm and then breakfast at 7am), we don’t enter the fasted state. SO – many individuals in the fitness industry specifically experiment with intermittent fasting to experience the “fasted state”. They may experience fat loss without changing what they eat, but simply by pushing their first meal of the day back 4-5 hours. What are the potential benefits of intermittent fasting? May decrease our insulin levels – Insulin, which is a hormone that helps keep our blood sugar stable and helps our bodies use sugars from carbohydrates that we consume as energy sources. This source (2) shows that it may help with insulin sensitivity (insulin sensitivity may cause weight loss issues). May help repair our cells – These sources (3,4) show that fasting may help assist with cellular repair. Boosts our brain health- These sources (5,6) discuss how intermittent fasting helps the growth of new nerve cells in our brain and that it even increases a hormone in our brain that helps our brain function in tip top shape. Protection against disease – These studies (7 , 8 ) discuss how fasting may alter the function of our genes that pertain to our longevity and wellness as we age. Other sources show (9) that periods of fasting reduce inflammation, and inflammation as many of us know may lead to chronic disease. Just with every type of eating and dieting method, the pros come with cons. Let’s discuss, shall we? Hormone imbalances – For women, intermittent fasting can be a bit trickier than for men since we have more hormone fluctuations throughout the month. When experimenting with fasting or severe calorie restriction, we could throw our system all out of whack – so some of us may need to proceed with caution. Preggo ladies and breastfeeding ladies, this is not for you – If you’re pregnant or nursing DO NOT and I repeat, do not, try anything that is relatively close to restricting calories (unless directed by your physician). Do not try any diets off the beaten path at all. Could screw with your blood sugar, if you have diabetes or you need to monitor your blood sugar levels. So don’t do it, ya hear?! Could cause energy swings – On the downside, there have been folks that say they can’t concentrate, become irritable: aka “hangry”, or they become tired. Well duh, because you aren’t eating when you’re hungry. So if you’re like this – don’t try it. There’s research on it, but not enough – Even though I’m linking to sources and studies that show how intermittent fasting affects us, there is not enough research to support that it really does help us develop a lean body. My philosophy has been and always will be, eat when you’re hungry. If you are naturally not hungry in the morning, don’t eat until you do become hungry. If you naturally find that you eat dinner around 7pm and then don’t become hungry the next day until 10 or 11am, that’s fine. The bottom line is to be an intuitive eater, and not follow a diet that anyone talks about except for the one you create for yourself. Fasting may be an extreme road to weight loss, and this may work for some and not for others. Before you start any type of diet, it is absolutely crucial that you consult with your physician first. This article is only for educational and entertainment purposes only. This is not supporting in any way intermittent fasting, simply discussing the pros and cons of this popular fitness trend. So with that said, what are your thoughts on intermittent fasting? Water: Is There A Mind-Body Connection?